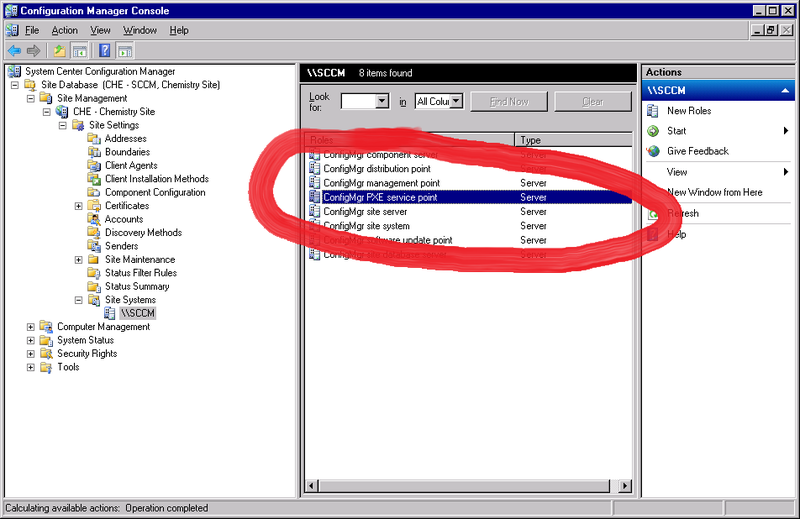 It’s come to my attention that in my SCCM posts I’ve never covered how to install the PXE service point! 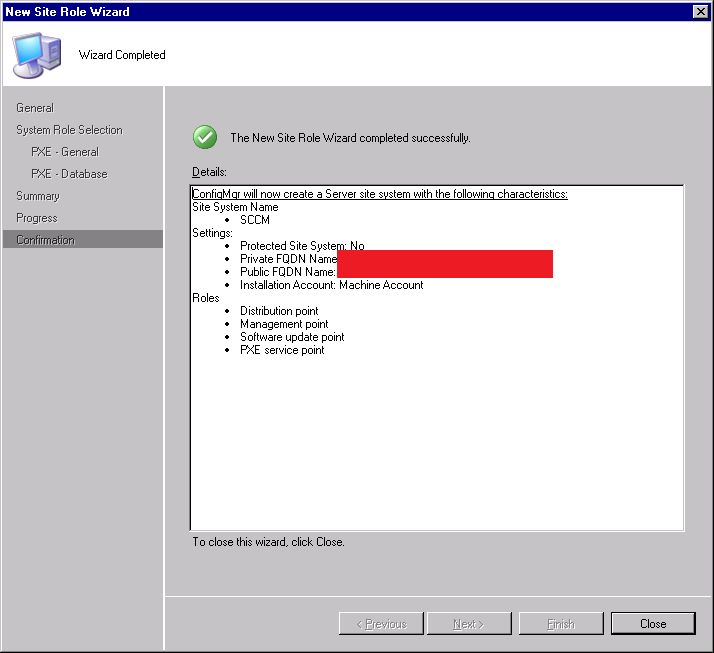 WDS should already be installed from the initial set up, so installing the PXE point is very easy. Right click your site system then click “New Roles”. On the “General” screen specify your sever’s FQDN on the two appropriate lines, then enter credentials, then click “Next”. 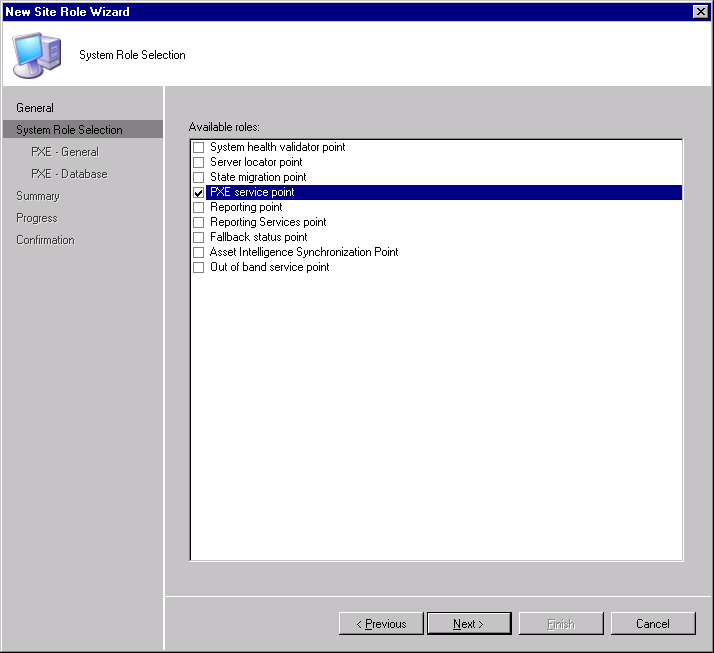 On the “System Role Selection” screen choose “PXE Service Point” then click “Next”. A pop-up should appear; click “Yes”. 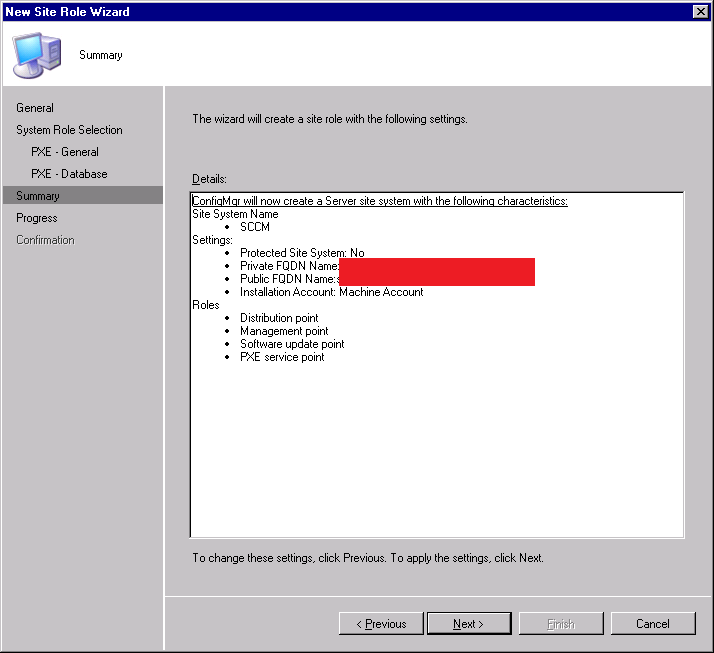 On the screen “PXE – General” make sure to check “Allow this PXE service point to respond” and “Enable unknown computer support”. Specify a password if you feel it necessary. When finished click “Next”. On the “Summary” screen click “Next”. On the confirmation screen click “Close”. 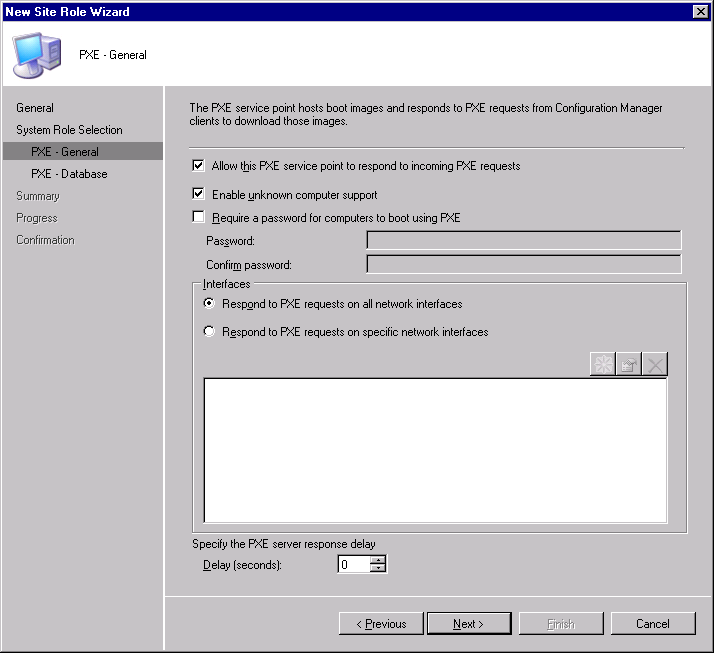 You should now see “ConfigMgr PXE Service Point” in your server roles list. Congrats! Now, a second distribution point should be created that contains the string “PXE”. Have fun! 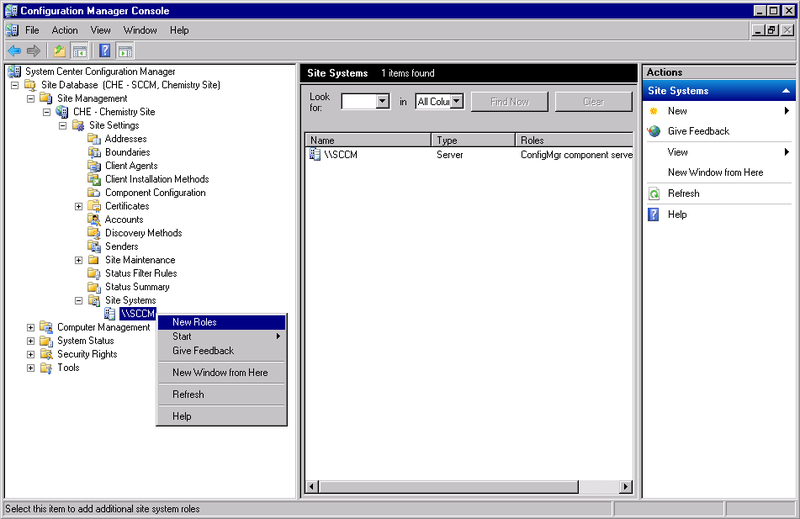 This entry was posted in Configuration Manager 2007, Management, Operating System Deployment, SCCM, System Center by windowsmasher. Bookmark the permalink.